The BICSI Learning Academy is the ICT industry's premier source for global learning and development, providing in-depth training for voice, data and video distribution design and installation, and project management -- at introductory, intermediate and advanced levels. Acquire relevant and timely knowledge and skills, plus earn CECs to maintain your certifications. Verizon says it'll flip the switch this month on a much-hyped, next-generation "5G" phone network. Service will start in parts of Chicago and Minneapolis. Verizon expects to have 5G in 30 cities this year. For now, few people will sign on. The offer is available only on unlimited plans, which currently start at $75 for one person or $160 for a family of four without 5G. On family plans, each 5G line would cost $10 extra. And network access will initially work with just one phone, Motorola's Moto Z3, with a special 5G attachment. Handheld has introduced the brand new Nautiz X6 rugged phablet (yes, short for phone + tablet). 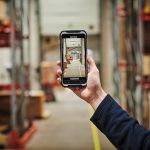 The Nautiz X6 ultra-rugged Android phablet is a state-of-the-art device that combines the high-visibility functionality of a tablet and the go-anywhere performance of a rugged handheld. Featuring an expansive 6-inch touchscreen display and protected by super-hardened Gorilla Glass, this device is still lightweight and super slim, making it a perfect rugged phablet to easily take anywhere in the workplace. 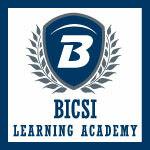 You'll have the chance to attend a BICSI class this May or June. 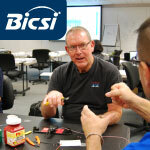 BICSI's Bonding & Grounding, Data Center, Distribution Design, Installer/Technician, Outside Plant and Project Management classes are coming to Tampa, FL; Baltimore, MD; Colorado Springs, CO; Dallas, TX; Grand Rapids, MI; and Mesa, AZ.